Glad to see the volume of responses given my long absence. Impressed! Welcome back to Cennathis where I take you on a hominin evolutionary journey. Here I want to respond to the recent comments to my recent video, asking you all for your thoughts on what you would like me to cover in the future. I decided to post this video, number one to see if my subscribers are still keeping an eye on my feed and number two, see what topics interest you the most. To efficiently grow my channel, I would ... Más informaciones have to see what my subscribers prefer. This is a little bit of crowd research. I have got so much I would like to spend time on over the next few months, but every now and then I want to drop a video on subjects that match the interest of subscribers. Let’s get to the comments, shall we? Marlon, thanks for your comment. The origins of language is certainly an old favourite of hominin evolutionary researchers. It is going to be a difficult topic to do a video on, but it is certainly going to have to be a video I will do in the future. As you can imagine, I’m more than a little rusty with where we are on that debate, so I need to catch up on some reading. Once my knowledge is at an acceptable level, the recording of the video can begin. Thanks for the comment Mario. The Aquatic Ape hypothesis is controversial and for good reason. Science is brutal when it comes to new hypotheses and it has dealt the very same treatment to the AA hypothesis. It is all well and good proposing that early hominins began to walk upright because we were waders, but it is quite another thing to prove that this was the case. Remember all we have are the fossils. Imagine you are in a room and you have every hominin fossil imaginable from 6 million years ago to about 3 million years ago. I stood beside you and said “Right, you have proposed we were Aquatic Apes, here are the fossils you need, show me the evidence”. You couldn’t. It’s virtually impossible. Even if you asked to return to the discovery locations of all these hominin fossils you would struggle to even comprehend where to start in order to prove it. And side note, you cannot use modern primates as evidence that our ancestors evolved bipedalism from our time wading in water. Fire and our association with it is incredibly interesting and there is much we have yet to learn. There is much I have to learn about this topic too. But let’s play around with an idea here for a second. If we recent papers have said is indeed correct and procurement of fire is very energetically costly, why would hominins particularly those of the Late Pleistocene rely on it? It may be because the cost of not having fire is far too great. A paper if generally accepted as sound research is a very focused part of a topic and you may forget about the bigger picture. Let’s fill in some details here. You will all be happy with the benefits Homo neanderthalensis gained from having fire, given the harsh conditions they lived in. 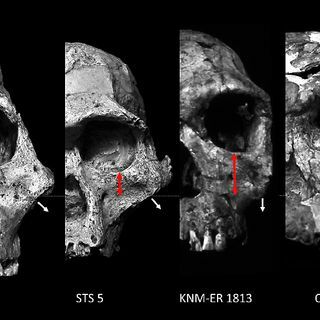 It may not be so easy to see the benefits our early ancestors Homo sapiens in Africa would have gained from fire. All carnivores have a primal fear of fire and so if we as hominins have conquered that fear than we gain significantly more than we lose by not having it. Plus nights are not particularly warm on the African continent. In summary, I would like to expand on the AA hypothesis and the value of fire in our evolutionary past. Onto the next comment. The size of the teeth and digits of the Denisova hominins is nothing out of the ordinary. It’s something that can be chalked down to morphological variation within a group. We are quick to celebrate the archaeogenetics of these hominins, but it doesn’t really mean much when we don’t have a complete skeleton. What we have learned is all well and good, but we should demand key points be rectified. Is the stratigraphic sequence fully understood? Of course not. This is conveniently ignored. The dating of the sediments is not good enough either. And finally what species are these hominins? Denisova is really exciting, but lets not forget there is much we do not know about these hominins and the stratigraphic sequence of the cave. I’d like to produce a video on the stratigraphic sequence of Denisova, because even the dry and boring parts of archaeology are vital to our understanding of the events that led to the creation of the sediments within the cave. And now to the final comment. The Out of Africa hypothesis has been proven time and time again to be the backbone of our understanding of our evolution. There is little to say further on this topic. And that’s really it. Origins of language, Aquatic Ape Hypothesis, Hominins controlled use of fire, Denisova and the Out of Africa hypothesis are all topics that will feature one way or another in future videos. Thanks again for commenting. Until next time.